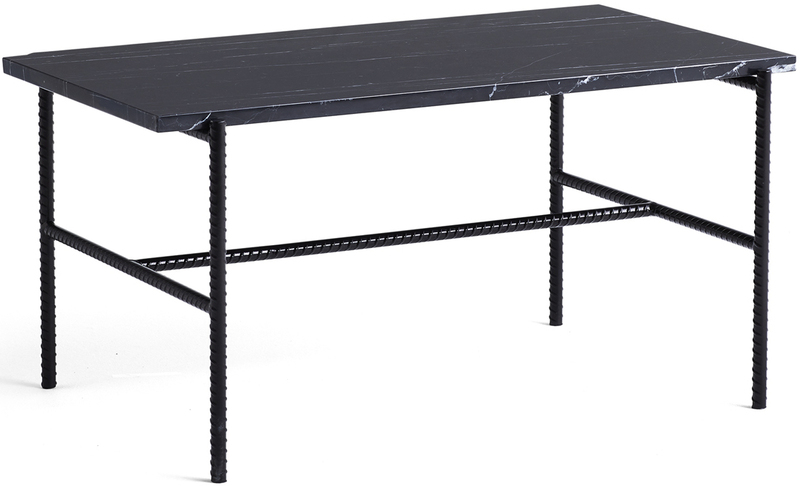 Sylvain Willenz’s Rebar collection is a series of coffee tables, tray tables and consoles. 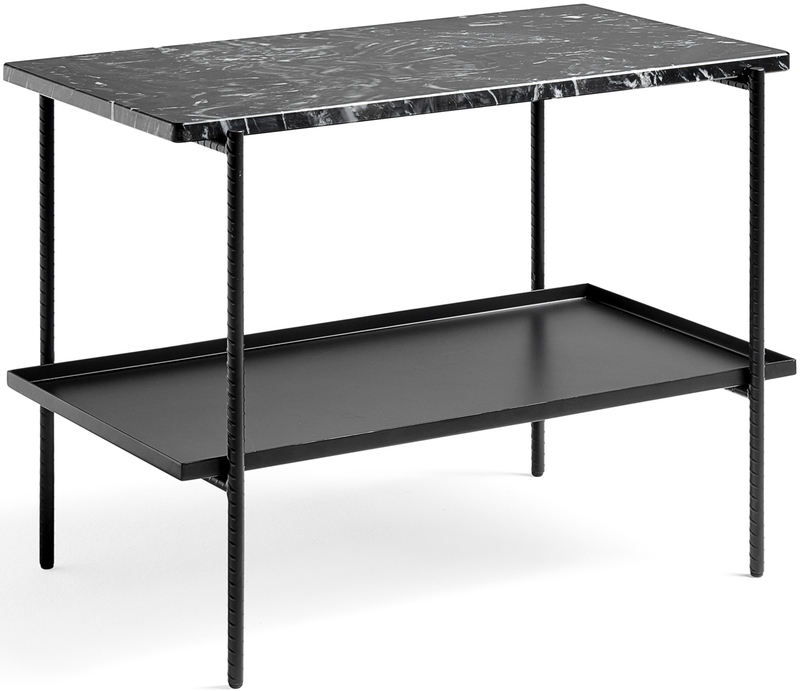 Their twisted steel frame holds black marble trays or black metal trays. The tables are available in round and rectangular shapes. 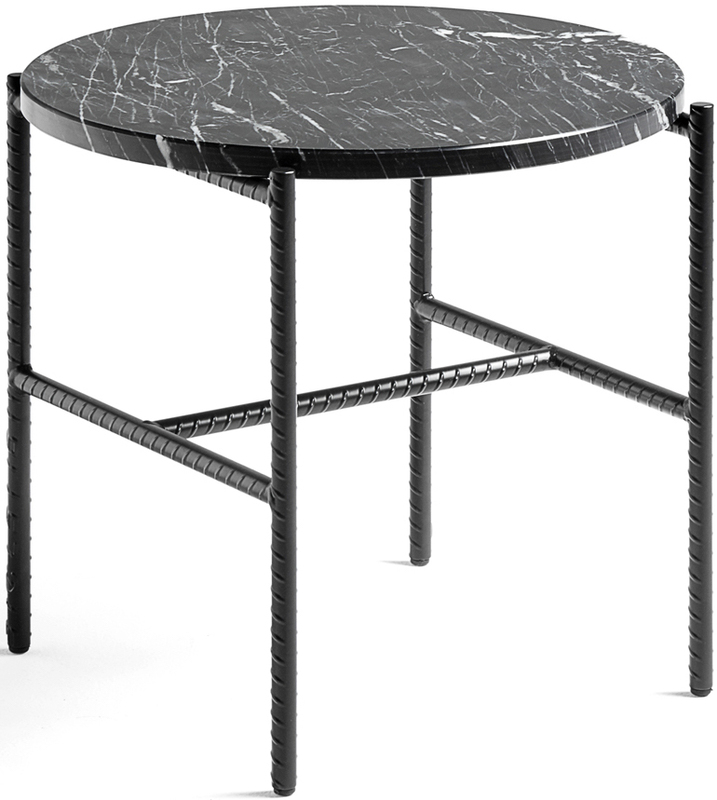 Their minimalist aesthetic is suitable for any interior styles.